Here at the Victoria Caledonian Distillery & Twa Dogs Brewery, we craft outstanding beers, exceptional single malt whiskies, and great visitor experiences. We were founded by over 325 small Canadians investors with a shared passion for great craft beer and whisky. You can join us and become a fellow brewery-distillery owner for as little as $250! 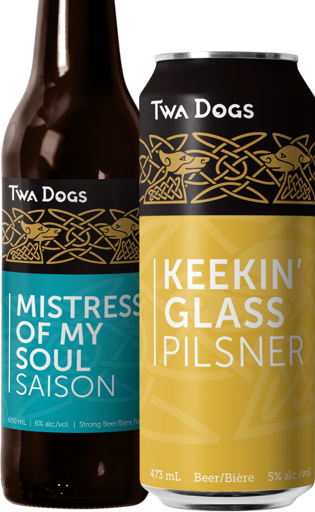 Twa Dogs beers are brewed without pretense or filtration, using only the finest ingredients. Like the Robert Burns poetry that inspired them, our beers are crafted with finesse while unafraid to embrace bold and distinct flavours. Delve into our beers here. Shhh… our single malt whiskies are slumbering; peacefully maturing in our island warehouse in anticipation of their ‘coming of age’. 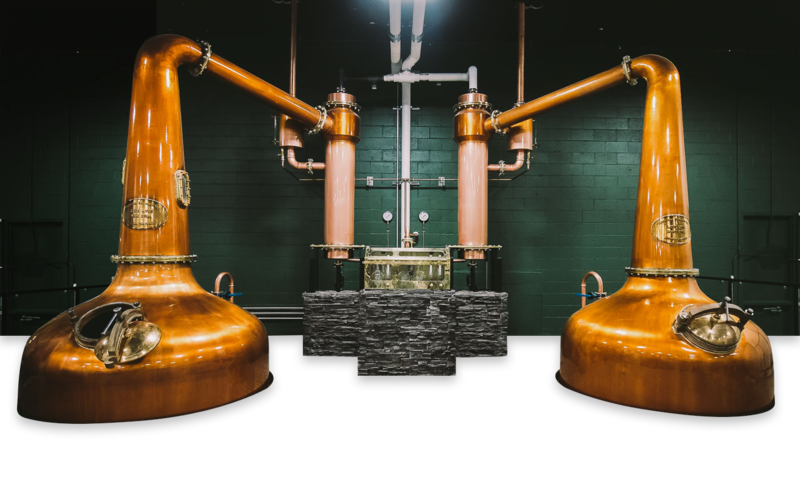 Our beautiful namesake ‘Caledonian’ spirit combines some of the finest Canadian barley together with the traditional craft of Scotland’s finest whisky makers, distilled to perfection in our hand-hammered Forsyth’s copper pot stills. Own a wee piece of the magic by designing your own whisky! Choose between your favorite whisky spirit and wood types, taste the evolution of your spirit as it matures, and finally bring home your finished whisky in either a 30L barrel or in custom labelled bottles. As a wee lad in Scotland, our founder Graeme Macaloney had a summer job in a local whisky factory, There he was encouraged to train in fermentation, becoming a ‘doctor of fermentation engineering’. 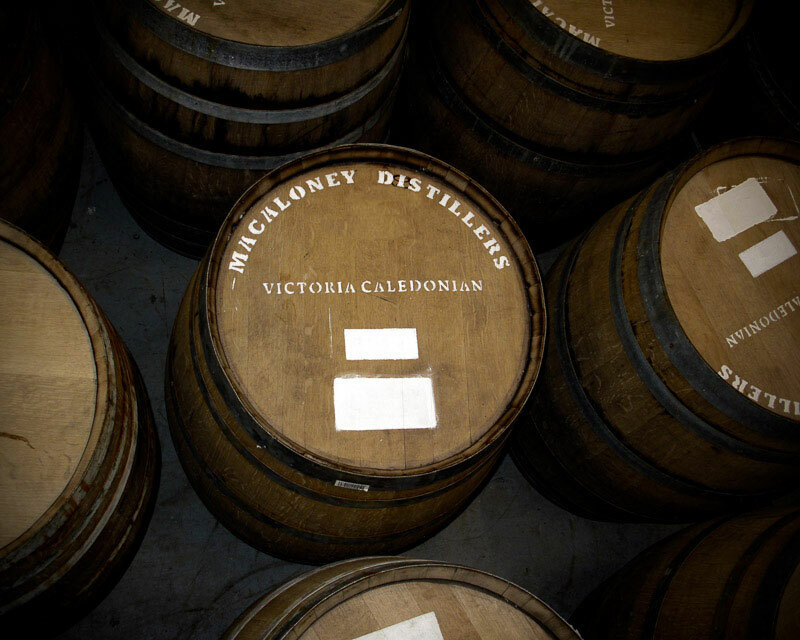 Upon arriving in Victoria, Graeme was inspired to bring traditional Scottish whisky making together with the best of west-coast craft brewing. Today, with the support of over 270 other passionate whisky and craft beer enthusiasts from coast to coast (our Founder-Owners group), Graeme and our team are proud to bring you the Victoria Caledonian Distillery & Twa Dogs Brewery! Touch, smell and taste your way through our wide selection of craft beers and whiskies as part of our immersive brewery & distillery tours. Discover the ingredients, methods, and passion that go into each and every bottle we produce. Also come enjoy how our artisans have paired our beers with a charcuterie selection of cured meats and mature cheeses, and our whiskies with a variety of hand-made single origin chocolates for the ultimate tasting experience. Keep up to date on our upcoming events, and all things Caledonian & Twa Dogs by signing up for our newsletter. By clicking 'yes', I declare that I am of legal drinking age in my province of residence.